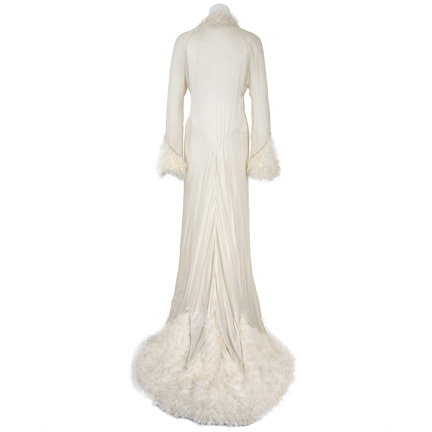 This robe was worn by singer Christina Aguilera in the video for her song “Ain’t No Other Man”. 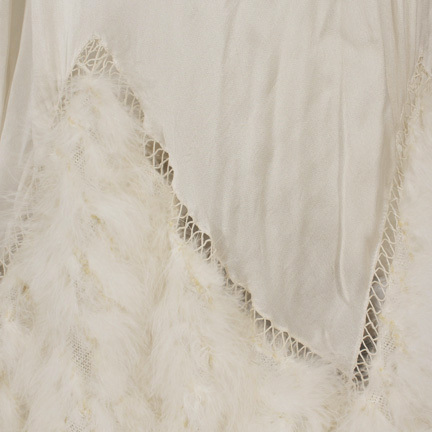 The cream-colored floor length robe with train has white feather trim at the collar, hems, and cuffs. Ms. Aguilera wore the garment in multiple scenes of the video when she performs the song “backstage” with assorted female background dancers and singers. Accompanied by a letter of authenticity from the costume house that supplied the garment to the production. 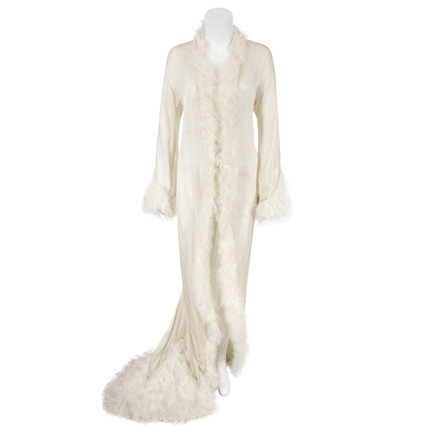 In an interesting side note, this garment was originally made by legendary costume designer Colleen Atwood for use by Renee Zellweger in the film “Chicago”, but was never used in the final edited version of the film. 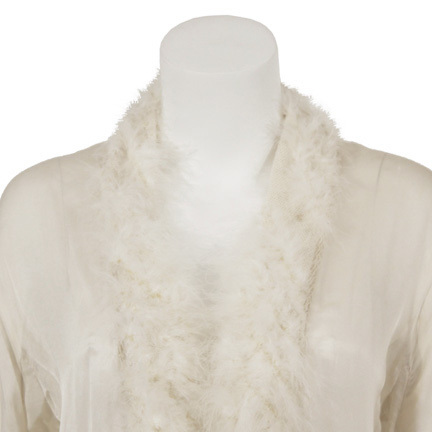 The costume house that acquired the robe later rented it for Ms. Aguilera’s use on “Ain’t No Other Man”. “Ain’t No Other Man” was the lead single of off Aguilera’s 2006 “Back To Basics” album. The song won the 2007 Grammy Award for Best Female Pop Vocal Performance, and Ms. Aguilera also co-directed the video.